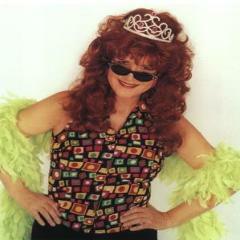 Hear more great Sweet Potato Queen ringtones here. 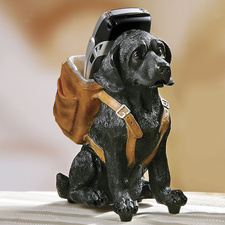 Prop your cell phone in this holder and enjoy the action when the phone rings! The dog barks with each ring. Resin critter includes 2 button batteries; on/off switch on bottom. In The Mobile Life Report 2006, 92 percent of those surveyed said they could not get through a typical day without using their cell phones. The CPC Strap™ is very unique. It's the world's first and only cell phone case accessory on the market that has Jewelry Strap Loop Attachments™ that allows you to personalize the case by attaching cell phone jewelry, beads or charms to match necklaces, bracelets, earrings, handbags and shoes.Customizing the CPC Strap™ is limited only by your imagination! Note: When you wear your Bluetooth headset and your cell phone strapped around your ankle: * You have flair * You have a strong sense of style. * You are a trendsetter and you don't mind being the center of attention. Gary Fortson, the inventor of the CPC Strap™ said, "I created the multi-wearable case to enable cell phone users to have their say in how they wear their cell phone and give them the power to personalize the CPC Strap™ to reflect their own individual style". Hear the sounds of rare and endangered species every time someone calls, courtesy of the Center for Biological Diversity. 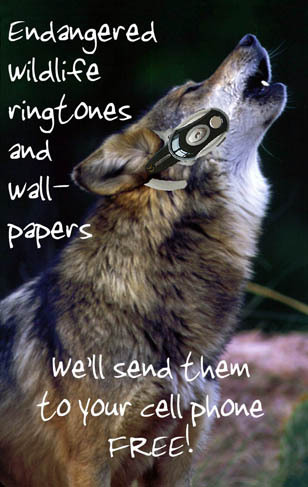 Get your free endangered wildlife ringtones here. For every e-mail message you send, there is a little less than 50-percent chance the intended tone of the e-mail will be misinterpreted, according to research published in The Journal of Personality and Social Psychology. The study involved 30 pairs of undergraduates who were asked to send 20 statements to their partner. One used a tape recording and a sarcastic or serious tone, the other sent an email. Members of each group were about 80% confident their message would be understood. The numbers showed otherwise. Speakers rated a success rate of 75%, but E-mail users scored only 56%. Recipients of either type of message thought they would understand 90% of the communications. At the base of all this misunderstanding, according to the study, is egocentrism—the inability of people to step outside themselves according to the researchers who looked into this phenomenon further. Their tests revealed the E-mailers thought recipients had access to the same information they did—i.e. that they “heard” things the same way. If you want to make sure your message is understood, use the phone, experts say. "E-mail is fine if you just want to communicate content, but not any emotional material," Epley explains. Read more about the study of misinterpreted email. Professor Epley's research was also picked up by news outlets including CNN, MSNBC.com, The Washington Post, ABCNews.go.com and Agence France-Presse. I'm on a learning kick today, I know. But sites like this make cheap information junkies like myself stay up way too late at night. LearnItalianPod.com is a FREE learn-Italian podcast. And I don't know why I want to learn Italian except that it's free and I like languages and I've forgotten most of the Russian I learned in college and half of the French I learned in high school (and it's free, too). A new lesson is published every Monday. The lessons are sequential and are 10 minutes each. It's bad enough that preteens today - in this age of caller ID - will never know the pleasures of a great prank call. And now, it seems, they'll never be able to tell their parents they are going to the mall and the movies and go to New Orleans instead (as we did many a night). 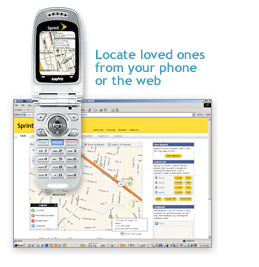 On April 13, Sprint Nextel rolled out a cell phone service that allows parents to pinpoint where their children are by tracking their cell phone. The parents can flip open their phone or log onto the Internet and find their child's location on a map. The technology uses a global positioning system (GPS). The service is called Family Locator. Once a family signs up, an application is loaded onto the parent phone. It costs an extra $9.99 a month. This stationery is inspired by a 1920s British telegram. Printed on heavy weight baby blue paper, it comes with official looking metal clasp envelopes. The light gray envelopes are sized to mail the telegram flat. Sheets are 8.5" x 5", envelopes are 6" x 9". My contract is almost up with my cell phone company and it's that wonderful time of year, like Christmas for grown-ups...the day you get to upgrade your phone. And I've been scouting for a while. I was ready. I wanted that pink Razr phone. Until Sarah Jessica Parker went and amucked it all up. In People magazine (March 6, 2006), after they ask her if she feels she's competing with teen actresses, she replies, "What, am I crazy? If I carried a pink cell phone, that'd be delusional. Lindsay Lohan should carry a pink cell phone. Know your age." If you wanted proof that cell phones are a fashion accessory today, there it is. A pink cell phone, to the cultured class, is obviously in the same realm as the belly ring, the midriff-baring shirt, thong underwear hanging out of your jeans...it's for "the young ones." So now I can't decide. Do I rebel and get the pink one as my "I'm not dead yet, damnit!" to the world? Or do I opt for the subtler silver so should I ever run into Sarah Jessica Parker in the supermarket she doesn't think me gauche?